Best car deals in Sydney! Buying a new ute or Van? We recently launched a very simple website for Ford customers who are looking for the latest offers on any Ford vehicle. It will hopefully simplify the process for anyone looking to purchase in any given month. The web address is www.sydneyforddealers.com.au. Check every month or even a few times a month as Ford does tend to offer numerous offers at the same time. Well this above site had to be shut down unfortunately. As a result, please don’t hesitate to visit www.peterwarrenford.com.au or www.macarthurautomotive.com.au and click on one of the two Ford Dealers there. While this particular Sorento isn’t brand new, it is the new model Kia Sorento. This car is loaded with standard features you would have to pay thousands more with the more established 4WD competitors. Enjoy. 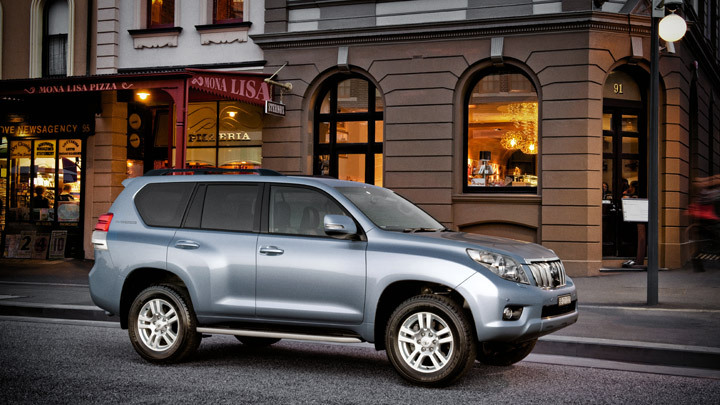 The all new Toyota Prado has arrived at this Sydney Toyota Dealer. While it may not appear to have changed a great deal, it is all new and has a more aerodynamic shape all round to assist in better fuel economy. Externally the New Prado features new headlamps and LED tail lamps which enables people driving behind to react quicker. The new elegent design while still appearing similar to the outgoing model, is very modern and in line with the new Landcruiser and Kluger. A rear view camera is standard and makes the car much safer when reversing which is a great addition. The standard feature list has grown substantially and combined with the options available makes for a formidable competitor in the SUV segment. 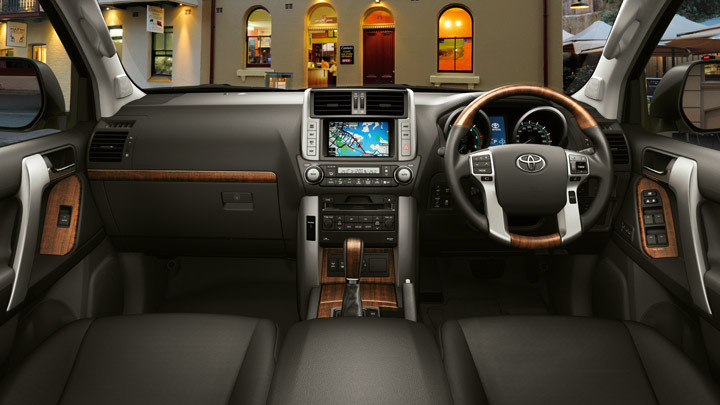 Features such as climate control, satellite navigation, keyless entry with push-button start, tilt and reach adjustable steering column (some with electric adjustability), cruise control (some models have radar cruise), power outlets, Bluetooth capability and iPod integration plus alloy wheels are amongst some of the many reasons the new Prado is a very wise choice. There is also 4 cameras available as part of an offroad package the alloys the driver to see almost completely around the vehicle if they choose to go off-roading. Petrol and diesel engines are offered throughout the range which starts off with the 5 seat Prado GX, GXL, VX and the range topping Kakadu. There is also a 3 door Prado is a wise choice for buyers looking for some adventure without having the need for extra doors. 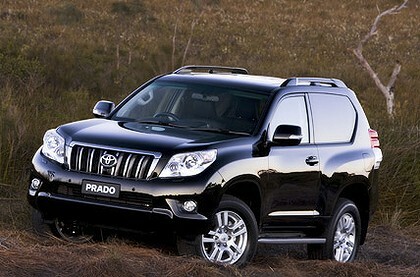 Overall the new Prado is a fitting replacement for the popular outgoing Prado. As always, Peugeot Australia have special offers available to all prospective buyers of sophisticated and economical vehicles. The offers start with the 207 and work their way through the 308 and 407. One of the best things about Peugeot is the choice of environmentally friendly engines on offer. All are capable of excellent city and country mileage meaning savings at the bowser, not just the environment. One of my favourite drives was the 207 Le Mans with the 1.6l HDi engine. Not only does it go well, it doesn’t sound like a turbo diesel. It was smooth and refined, with plenty or urge at low rpm. For all this and all updates, keep an eye on our website for Peugeot offers on the Peter Warren Peugeot specials page. To celebrate 40 years in Australia, Honda Cars has released a limited number of Honda Civic and Honda Accord 40th Anniversary edition. The Civic is Based on the VTi, with the fuel-efficient 1.8 litre i-VTEC engine. As part of the package it includes extra features like 15” alloy wheels, rear parking sensors, fog lights, chrome exhaust tip, tailored floor mats and unique badging. The Honda Accord is based on the VTi. It has the powerful yet economical 2.4 litre, 4-cylinder i-VTEC engine. It also includes extra a Bluetooth® phone system, rear parking sensors, fog lights, tailored floor mats and unique badging. The new Ford Fiesta ECOnetic is the vivid representation of everything modern and inspirational in the automotive industry today. If you’ve ever been impressed by haute couture art, then you’re bound to love ground-breaking technology and design integrated within the new Fiesta. From its dynamic exterior to sophisticated interior, Ford Fiesta showcases technology at its best. The Fiesta is an environmentally-advanced vehicle shows that delivering ultra-low CO2 emissions while maintaining a high level of comfort is possible. It provided a glimpse of what interested car buyers can expect from Ford in terms of its commitment to sustained fuel-efficiency. Ford’s Fiesta ECOnetic model will helps consumers get a stylish and fuel-efficient that emits very low level of CO2. It meets the standards of today’s modern environment. Even the most discriminating car buyer will be awed by the clever combination of style and substance in the new Ford Fiesta ECOnetic. Every single line of detail found on the car synchronizes perfectly. The functionality beneath all that exterior style is equally notable. The Ford Fiesta also boasts of the latest innovations in green and sustainable technology. At the heart of the Ford Fiesta ECOnetic is the 1.6-litre four-cylinder TDCi turbo-diesel engine. Rated as the equivalent of 3.7L/100km, and its incredibly low CO2 emissions at 98g/km. As if that’s not enough, the driving quality of this car remains excellent because the TDCi engine is able to produce 66kW of power and 200 Nm of torque. And the torque is where it is at. It enables the Fiesta to perform very well. And to maximize the fuel-efficiency of the car, Ford engineers conducted enhancement, modifications, and improvements on the standard Fiesta. For example, the suspension has been lowered and rear air deflectors were placed. In addition, the car model uses low resistance tyres that are low-rolling as well. Although the current range of imported models are already highly competitive in terms of CO2 emissions, more and more car buyers are seeking the lowest possible vehicle emissions as a key to ‘why buy’.” Indeed, there might be a lot fuel-efficient car models but it is already quite apparent that the Ford Fiesta ECOnetic will be the star with its 1.6-litre Duratorq TDCi engine and coated Diesel Particulate Filter (cDPF). With all these features, the New Ford Fiesta is being promoted as the attractive and affordable solution to car buyers who prioritise low emission performance. The favourable fuel-consumption demonstrates Ford’s continual dedication to bringing the best alternatives to the environmentally concious buyer. The limited edition Ford G6 has now on sale at Peter Warren and Macarthur Ford dealerships. It is available in both the standard hi-tech twin cam 6 cylinder engine, or with the optional E-Gas engine. Ford’s 6 cylinder engine with 195kw and 380Nm of torque still makes the Falcon one of the most efficient large cars on the market. No other large car has the effortless low rev performance as the Falcon. With this much torque there is no need to rev the engine hard, using more fuel. It is quite happy to quietly work and give you outstanding economy. To keep up, the competition are decreasing their engine size just to compete with Ford! The extras over the standard G6 are numerous. The G6 is already well equiped and these additional features compliment them and makes the G6 Limited Edition an outstanding value purchase. – Peter Warren Ford and Macarthur Ford Campbelltown and Narellan.